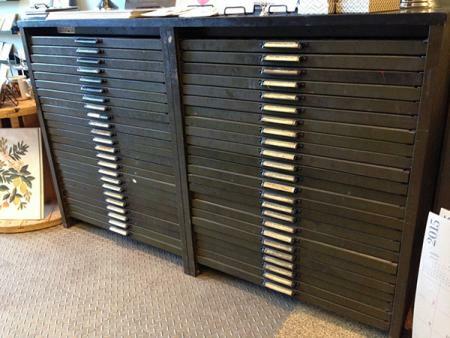 Large Cabinet is 70” long, 43-1/2” tall, 22” deep with 24 type cases on each side or a total of 48. Small Cabinet is 26” long, 42” tall, 20” deep with 13 small type cases. 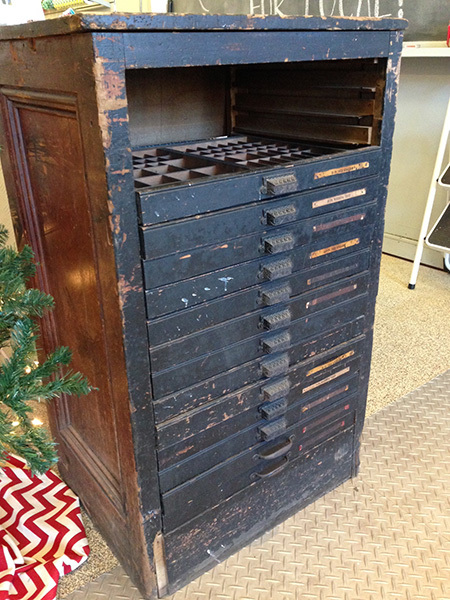 Includes all lead type in both cases - several styles and sizes with most of the drawers having type. We can provide additional pictures/information to serious buyers. Additional pictures in link below on our Spark Letterpress Facebook page. $1500 for both or best offer. Local pickup only as they are being removed from our stationery store in downtown Sioux Falls. Must be removed by Sunday, January 3, 2016.